Taking care of the oral health of children takes a special approach to ensure that all of the dentist's recommendations are met. Not all kids like going to the dentist or taking proper care of their teeth, so it is important to implement as many of these tips as you can to ensure your child is getting the best dental start possible. Take these tips for each stage of childhood, and see how much they can help in your home!  Ideally, we would like to see every single child around his or her six-month birthday, but it is very important that we have taken a peek at your child's teeth no later than the first birthday. We can then get a baseline for how the child's teeth are coming in, and use that as reference as more teeth come into the mouth. Plus, it allows us to build up a trusted rapport with children from a young age, making the dentist a more enjoyable part of childhood. Early intervention is key to figuring out any issues with a child's teeth before the issues grow larger. Things like pacifier use or drinking baby bottles in a crib can damage an infant's teeth even before they erupt, so it is imperative that you have your child seeing a dentist regularly in order to notice any signs of problems as early as possible. When your child is teething, his or her gums are hurting. The best thing you can do is allow your child to have a toy meant for teething, or rub their gums with your finger or the back of a soft, small spoon. This helps to alleviate the pain and ready's the gums for the emerging teeth. Pacifiers also sometimes help with teething, and can be used in companion with teething toys, safely, up until the child's fourth birthday. By the age of four, pacifiers can start causing issues with the teeth. Whenever possible, however, thumb-sucking should be avoided as it can cause issues with tooth formation from the very beginning. Normally, by the age of three, most children have all twenty of their primary teeth, also known as baby teeth. These teeth typically become loose, and get replaced by permanent teeth, between the ages of 4 and 12. In all, your child will end up with a total of 28 permanent teeth, not including the final four teeth that often show up in the late teens, often referred to as wisdom teeth. You need to make sure that both the primary teeth and the permanent teeth are as healthy as possible. If the primary teeth are unhealthy, it can cause the permanent teeth behind them to also be unhealthy. Make sure you are taking your child to the dentist regularly while these teeth are coming in and being replaced, so that your child's dentist can keep a close eye out for anything that could lead to problems down the line. If your child loses a tooth, there are spacers that can be used if the next tooth is not ready to come in yet, to maintain the gaps so that the teeth do not get crowded. For babies, using one of those finger-tip toothbrushes on their gums is often enough to help keep the debris off of the teeth and gums. You should avoid any toothpaste for babies under one year, and any fluoride-containing toothpaste for children between one and two years of age. If you think that your child needs fluoride beyond what he or she is getting through the water they drink, speak with your dentist. Your dentist can offer fluoride supplements for those who need them. There are many reasons your child may have a toothache, but the most common one is teething. Give your child's mouth a rinse with a little table salt dissolved in some lukewarm water, and that should help with the pain. Otherwise, consider using a little acetaminophen. If neither of these options works, give us a call at Surprise Smiles Dental so we can take a look. When a tooth gets injured, it can affect more than the tooth that suffered the injury - it can affect your child's entire mouth. That's why it is incredibly important to monitor your child's playtime so that he or she is being safe with their toys when running around, and to make sure that no toys are getting placed into the mouth that could cause an injury. When kids get a little older and begin playing organized sports, it is also important to ensure that your child consistently wears a mouthguard to protect their teeth during game time. Since a tooth injury can vary significantly, you need to look and see what type of injury you are facing first. If the tooth is chipped, try and find the piece and give us a call to take a look. If your child's tooth was knocked completely out of his or her mouth, find the tooth while rinsing the blood from your child's mouth, and give us a call. While speaking with us to get your child seen, apply some ice or other type of cold compress on your child's cheek to keep the swelling down. If you can put the tooth back in (while holding the crown, never the roots), that's ideal. If not, keep the tooth in cold milk, water, or your child's saliva while coming in to our office. For other injuries, call us as soon as they happen for more information! In order to avoid food getting stuck in the ridges of your child's molars, we suggest sealing them. We take a clear sealant and put it on the back teeth after a good cleaning. Typically, a sealant on those teeth will last your child for a few years, and protects those teeth from decay where it may be more difficult to brush.